As most of you will know, I love anything to do with cars so the Design Museum's latest exhibition was right up my street. Kevin and I went there today to see 'Ferrari: Under the skin', an exhibition all about Enzo Ferrari and his iconic cars. 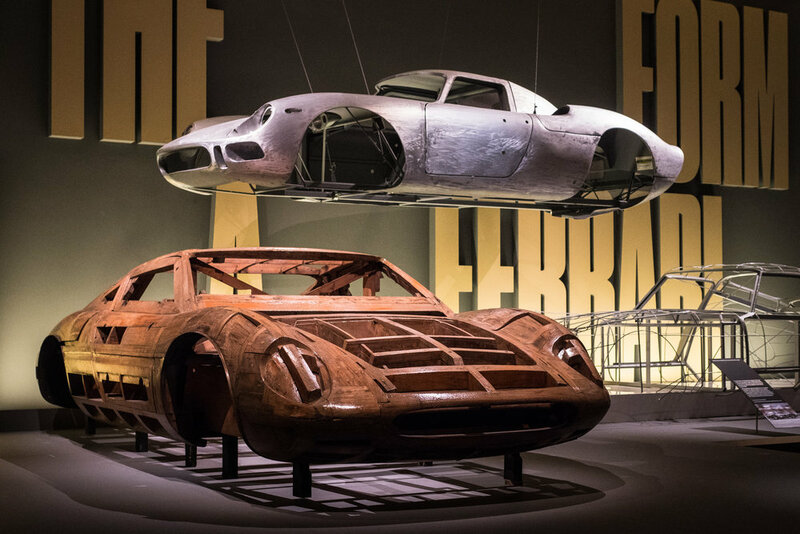 The exhibition took us from Ferrari's first designs through to the present day and the brand's efforts to introduce hybrid technologies into their cars. 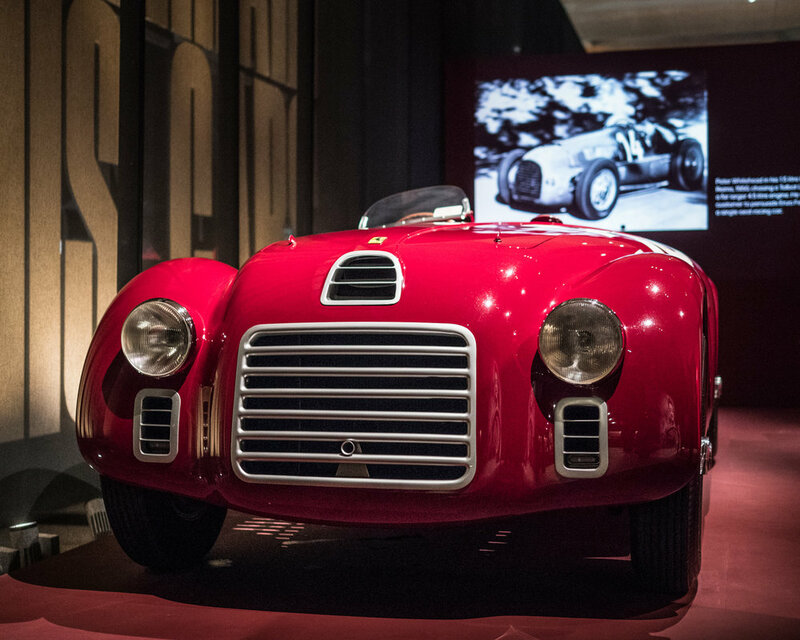 Interestingly, because Enzo Ferrari previously worked for Alfa Romeo he had an agreement which prevented him from using his name when he first went solo - it was his second design which eventually took on the Ferrari name. As we walked around I took photos of whatever attracted my eye. With so much to see there were lots of distracting backgrounds to try and avoid and I found a number of my photos worked better in monochrome to minimise these. If you're in London and fancy seeing the exhibition before it ends in April I can thoroughly recommend it. I couldn't visit the Design Museum without photographing its clean architectural lines again. I spotted this lone visitor and managed to include him in my composition by leaning round a corner on the stairs!